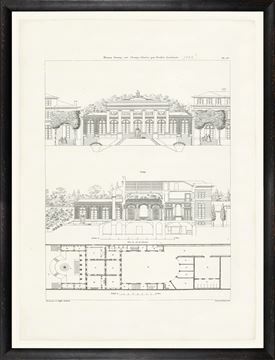 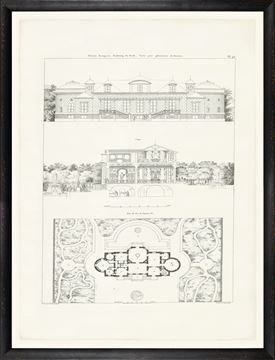 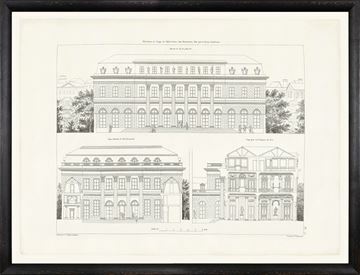 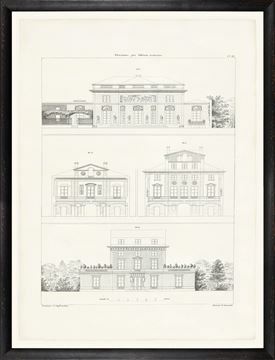 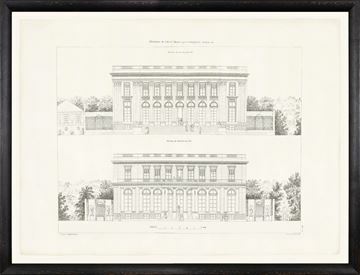 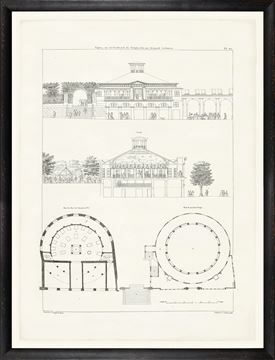 Finely detailed Parisian plans and elevations. 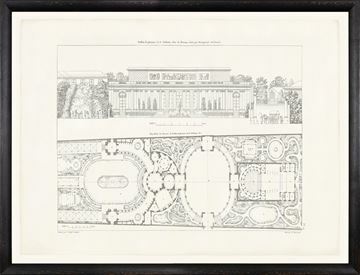 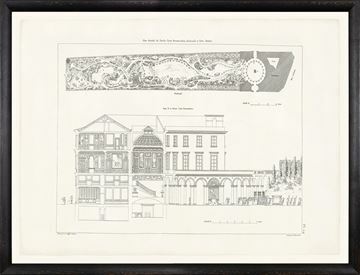 A series of eight finely detailed sections, plans and elevations of some of the most beautiful houses and hotels in Paris and area of the 1700’s. 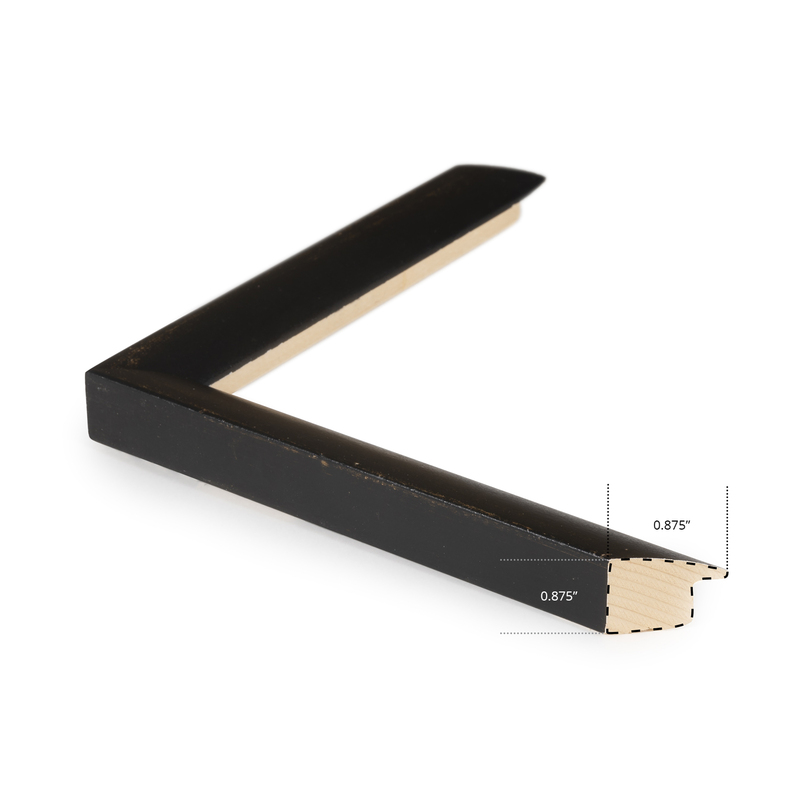 Simply framed with a gently distressed black frame.